Heyy Gorgeous! 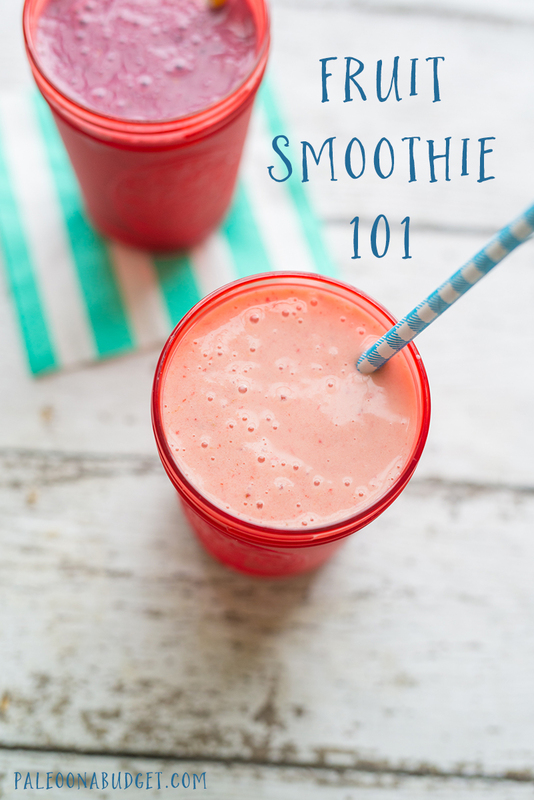 I cannot wait for you to try out this Fruit Smoothie 101 business!! If you’re seeing this page, fear not the recipe isn’t gone or missing or anything I promise! It’s moved to our new home, It’s a Nerdy Life! You can find the recipe here! **Affiliate Link Disclosure – In order for me to keep Paleo On A Budget in the life it’s accustomed to I may receive a small monetary compensation for any links or images to any products or service in this blog post. Don’t worry, the price never changes for you guys and I only link up what I like, trust and would recommend even without the affiliate link – it’s just my way of keeping us up and running and looking oh-so-pretty! And thank you for helping to keep POAB running if you click one of the links — you totally rock and I wish I could send you a cookie or bacon or something equally as awesome!